One of the newest sounds in Kansas City is coming from the house duo, Jack & Jill. This tag team knows how to pack a house. "We met on the dance floor and moved it to the decks." Jack & Jill started their adventures together in November 2004. The clever name was formed around the two members; Brent Higginbotham (Mr. Nuro) and Amanda Pate (AmJanda). Currently, they hold a residency at one of the hottest Friday House nights in Kansas City, Propaganda @ Jilly's on Broadway. 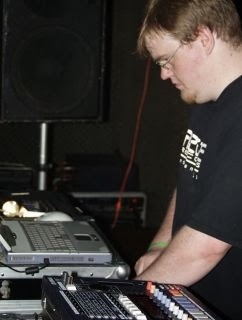 Brent (Jack) started playing records in 2000 and within a year was playing at various events around town. He has held down a few other residencies and has opened for many big names. Most recently, he placed 1st in the phocas DJ Battle - House Night and took 3rd overall in the Finals. Brent's sound started with bass-driven deep house and has progressed over the years. Now you can catch him throwin' down classic Chicago cuts blended with the newest acid house while dropping in live remixes. Amanda (Jill) got her start later than Brent. She first touched vinyl in 2002; however was a bedroom Dj until the later months of 2004. Deep, soulful house is what initially drove Amanda to the decks. Over the years, her tastes have changed considerably. Currently, the sounds of quirky and funky Chicago tracks are being pulled from her bag, along with some acid house house. This sound is also very prominent in the records she lays down. Jack & Jill have played almost every weekly in Kansas City. This includes Monday's at the Newsroom, True Tuesdays at Balanca's, The Wednesday Perk at The Cup 'n' Saucer, Inertia at Vermont St BBQ, Frisky at Kabal Restaurant & Nightclub and Patio Beats at the Newsroom. They have also played along side major headliners such as Trevor Lamont, DJ Assault, Paul Anthony, JBreak, Vicious Vic, Evol Intent, DB, and Pat Nice. Be on the look for these two around town and throughout the midwest. Jack, Jack, Jack… Jack yo body. The Adventures of Willi Ninja is the newest release from Jack & Jill. This mix has captured their mixing style to the fullest. Listening to this mix gives you a taste of what you will experience when hearing these two play. Along with live remixes, a wide track selection, and one of Jack's own production's (Rug Burn), it gives you the feel of a jackin', peak-hour set. The Adventures of Will Ninja TrackListing! If you dig deep enough in some underground videotape trading circles you can find a tape from back in 1999 of William Flegal aka Stunt Rock performing in a band called "Meat." He can be seen slashing himself with razor blades, urinating in cups and drinking them, smashing computer monitors on his head, all while a band plays mediocre Black Sabbath covers and Dan Doormouse shoves meat up his bum. Perhaps the tape was just a product of Midwest boredom and youthful ambition, but whatever the case, let us introduce you to the confusing and zany world of Stunt Rock, the most legendary, reclusive, and talked about artist to rise from the ashes of the Midwest-USA Breakcore scene. Stunt Rock built his career on countless spray-painted CDR's given away at shows in a drunken stupor. A total disregard for sequencing and obsession with samples gave way to a reputation as the new "punk rock" of the electronic scene in the Midwest. 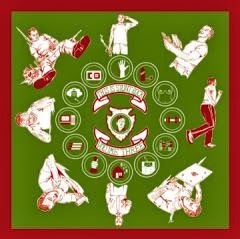 For more information about Stunt Rock, visit CockRockDisco.com orRephlektor Inkorporated! by Betty Kang ~ The next project from one of electronic music’s most prolific artists, Richie Hawtin, is due out November 1 via novamute/Minus. Titled DE9: Transitions, it’s part of his DE9 series that started with Decks, EFX & 909 (1999) and was followed by DE9: Closer to the Edit (2001). With the use of new recording advances and automation techniques, Hawtin uses his new-found freedom to expose a new area of the mix--that of the "transition." Realized in 5.1 surround sound and using the latest recording technology to create an immersive sonic experience, DE9: Transitions encompasses 95 minutes of altered perception. Hawtin has used Abelton Live and ProTools software to strip apart, and then reassemble, his component tracks to make completely new pieces of music, combining multiple elements simultaneously into a constantly shifting collage of sound. Technique aside, DE9: Transitions is a powerful and compelling trip. To fully maximize the apprehension of this concept, DE9: Transitions will be released as a CD/DVD complete package, including a 75 minute stereo mix (CD) featuring extended 96 minute stereo and 5.1 surround sound versions of the album, as well as high-resolution audio versions, two new videos, an 'About DE9' short film and live footage from Time Warp, the major electronic music event in Germany. DE9: Transitions combines everything from original Hawtin productions to unreleased tracks straight from the studios of cutting-edge producers like Ricardo Villalobos, and adds flashes of classic techno moments which inspired him when he was a young clubber. But most of the tracks are fundamentally transformed from their original states. Some fade in and out over a period of minutes, while others are reduced to one single sampled note. The on-screen read-out on the DVD version of DE9: Transitions illustrates the smoothly shape-shifting outline of a remarkable complex project. In fact, the tracks are so close to becoming entirely new compositions that Hawtin has made the decision to give them his own names. 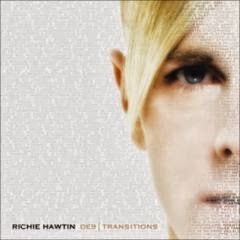 For more information visit RichieHawtin.com, NovaMute.com or PlexiPR.com! 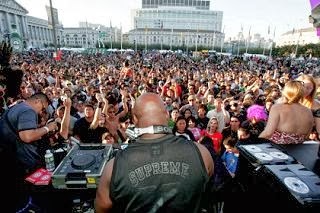 by Troy Gilmore ~ San Francisco legendary pioneer DJ DRC is taking the Electronic Music Industry by storm. With her Mixed Album "Undefined" in the works and a list of releases on IMIX, Vision Music, Off World, Merge, Twin Soul, Ovum and her own label Undefined Musik, DRC equivocates the expeditious pace of her new stomping grounds. Her original music is also featured in two movies, “Vision of Vibe” with Carl Cox and “Intellect” featuring Paul Van Dyk and many others. DRC’s latest blockbuster single "Seeker" can be heard on the Spankee clothing line web site. Currently DRC is undertaking a whirlwind tour supporting this recent blockbuster release. With all this under her belt and more, it is obvious DRC has already had her finger on the pulse of the Worlds Dance music scene. DRC strives to interpret the diversity of our world through her music. It is hard to believe that such groundbreaking talent was spawned in a small town, in a state famous for it’s potatoes. Raised near the Nez Perce Native American Reservation in Idaho, performing in Arabian horse shows, acting and singing in many local theater productions exposed DRC to an ore of music and dance at a young age. DRC also has five years of classical voice training which she uses to embellish the occasional track, inspiring listeners with a unique and modern sound of her own. DRC has exceptional abilities that have taken her all throughout United States, Canada, Germany, Holland, and Eastern Europe, and other parts of the world, for performances at the best nightclubs and venues anywhere. Her unmatched skillfulness on the decks and high voltage performances keep her in huge demand throughout the world as she continues to set new standards in our megaton Dance Culture. To experience the captivating energy DRC harnesses in her performances will forever change the way you hear and feel music. DRC is one of America’s most inspiring and talented DJs. She is a true artist and should not to be missed. 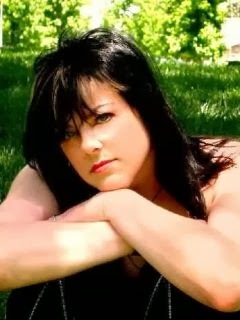 For More Information on DRC, you can visit her web site at DJDRC.com, MediaServiceNYC.com,BlueMoonProductions.org or Spankee.us! by Shelli Andranigian ~ Los Angeles, CA - Remix Hotel, a technology and music driven event courtesy of Northern California-based Remix Magazine, will make it's first Southern California appearance when Musicians Institute (MI) in Hollywood plays host November 4 - 6, 2005. A pre-registration event and DJ set on Friday kicks off the three days of free access to total technology immersion. Numerous sponsors have already signed up for Remix Hotel Los Angeles, including Akai, Alesis, Allen & Heath, Apple, Digidesign, Edirol, Line 6, Mackie, M-Audio, Music Marketing, Numark, Pioneer Pro DJ, Propellerhead, Obedia, Rane, Serato, Stanton and Universal Audio. "Los Angeles is a key market for young and up-and-coming music producers, DJs and musicians," said Remix Magazine's Associate Publisher Joanne Zola. "We are excited to bring the Remix Hotel to their backyard! In addition to Musician Institute's 1300 active students plus alumni, we are expecting record crowds this November." The event has already successfully been held in a number of major U.S. cities the past few years including Chicago, Miami, New York and San Francisco. MI is home to students whose ultimate goal is a career in the music industry. Remix Hotel Los Angeles, meantime, will add to the curriculum by featuring panel discussions with industry leaders including artists, producers, music supervisors, project and commercial studio operators. 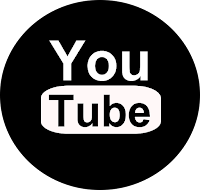 Subjects include Music for Film, TV & New Media Technologies, Women In Music, Record & Radio Production in the Digital Age, How to Make Your Music Sound Great, and VJ's & DJ's: Breaking New Ground. Panelist info will be announced shortly at RemixHotel.com. 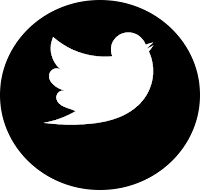 Remix Magazine serves to educate it's reader about the latest in music technology and has been in existence since 1999, while Musicians Institute launched in 1977 as a guitar school and bills itself on its web site as "The World's Most Innovative School of Contemporary Music." "When MI started as a guitar school, recording technology was still in the hands of the professional engineer, " according to MI's VP of Programs Keith Wyatt. "Home recording technology and electronic music were in their infancy, and a musician was defined as someone who played a "real" instrument. In the years since, digital technology has brought professional-level recording to the masses, along with a host of instruments that wouldn't previously have been recognized as such, from the turntable to the virtual synth. As musical capabilities and definitions change, music education also has to change to keep pace. Guitar is still the biggest single program at MI, but many guitar players now produce their own recordings and create their own rhythm sections inside the computer. At the same time, MI offers recording programs that encompass both traditional pro studio and electronic music, and our keyboard program is less about the black and white keys and more about how they can be used to access a whole universe of sounds. For those who associate MI with a certain style or tradition, this event will probably raise some eyebrows, but for the students who are currently attending the school it fits right into what they're already doing." 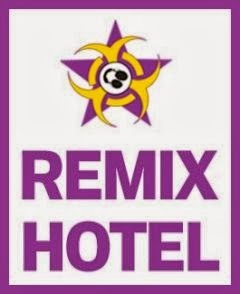 For more information about the upcoming Remix Hotel Los Angeles, just visit RemixHotel.com. Free registration is available through November 6th. by Betty Kang ~ photo by Misha Vladimirskiy ~ San Francisco, CA - Love was in the air on Saturday, September 24th for the second annual Loveparade San Francisco. On this day, 89,000 participants joined together in an alliance of music and diversity. The spectacular weather provided an ideal setting for Loveparade San Francisco. Twenty four floats paraded down Market Street, the city’s main thoroughfare, for the procession. The marching line-up was comprised of large floats, art cars, dancers, performers and costumed participants, all championed by crowds stretching through the heart of downtown San Francisco. The parade culminated in an all day festival at Civic Center Plaza where more than 200 DJs performed. Participants gathered to observe, dance and listen to the diverse spectacle of electronic music and creative pageantry. The success of Loveparade is a great testament to the City of San Francisco and to the current state of electronic music in America. The prevailing sentiment had a carnivalesque feeling of merriment and celebration, where everybody was happy to be a part of something significant for electronic music in America, a moment that instilled a feeling of optimism in all the participants. Inside City Hall, the VIP / Press area was brimming with people who have supported Loveparade all year and contributed to its success. The Heineken press area hosted interviews and photo opportunities with artists like Carl Cox, The Crystal Method, Mark Farina and others. Meanwhile, The Mutaytor (a Los Angeles based 30 person performance troupe incorporating tribal drums, electronic music, hoop dancers, acrobats and visual effects) performed at the top of the grand marble staircase, under City Hall's impressive rotunda transforming it into a colorful affair with dancing, song, and revelry. Outside City Hall at the festival, the Skills/Spundae float, positioned directly in front of the Bill Graham Civic Auditorium, entertained large crowds all day. The Official Skills/Spundae After party was brimming with 9,000 party people and featured sets by UK break beat duo Evil Nine, superstar techno DJ Carl Cox, along with US DJs Bad Boy Bill, DJ Dan, Markus Schulz with the highlight set performed by international DJ star Ferry Corsten. The organizers would to thank everyone who helped create this year’s Loveparade San Francisco. Without your support we would never have such an event. A special thanks goes out to all the DJs of the world: both those that contributed to making Loveparade San Francisco what it is, and to the others dropping beats all over the world. We are already looking forward to next year’s Loveparade as we continue to grow a new legacy for electronic music in America. For more information, visit LoveParadeSF.org or PlexiPR.com! by Chris Milbourn ~ photo by todd ~ DJ Adam Jay’s musical tastes have evolved in a way that some can agree with, but not all. Growing up with DJ’s and musicians in his own family spurred his passion for music at a young age. At just 16, he spun at the world-famous East Town Theatre in Detroit and never looked back. Since then, record labels Primate and Primevil have allowed him to flourish as a DJ and highly regarded producer among the techno massive from coast to coast and across a couple oceans. Even when Carl Cox plays he almost always lays down some of Adam’s original wax. So tell me, how did you get into DJing and producing? Well my sister was a college radio DJ when I was a young teenager. She played a lot of industrial stuff and that kind of spurred me onto listening to industrial - which lead me onto techno. Djing was a natural evolution, as that’s the most common way to perform, but also to hear the new stuff you needed a turntable as it was all vinyl. And I was in a lot of bands as a teenager, got tired of working with other people so solo production made it easy for me to have a creative outlet on my own terms. Is it more difficult to network as a solo artist, as opposed to being a member of a band? It certainly is, for the most part I'm my own agent, publicist, secretary, and assistant. There's a lot of responsibility that goes with being solo. But as long as you have the drive to continue with good work, people will listen and eventually you can put the whole "machine" on auto-pilot and just focus on making good music. What kind of bands were you a part of? Funk bands mostly. I played bass and keyboards. In school I also did jazz band. Did you initially find refuge in techno the same way many kids have? I don't know, how did kids find refuge? I have met a lot of people that suddenly discovered Techno only to think, "Where's this been all my life?" I would say not so much. I think I found it along a path. It just seemed like the music I was interested in gradually and overtime became more raw and hypnotic. It was more of an evolution for me rather than a discovery. Of the various countries you've played in, were you ever surprised about the way a specific crowd reacted to one of your performances? Certainly, in Australia the crowds seem much more reserved and difficult to read. I think it comes down to how people in different parts of the globe react to different sounds. In Brasil they really vibe off of techno with complex rhythms, in Japan the crowds seem to relate to a more basic and focused polyrhythms with less hooks. I had an incredible time in San Diego earlier this year. There's a small but well established techno community there that really supports keeping techno going by any means necessary. Its not a very industrial or hard-knocks city that you would expect techno to be welcomed in, but never the less they do a great job of welcoming it. I love SD! For those that don't know, how did the renowned Shiva versus Adam Jay performances come about? 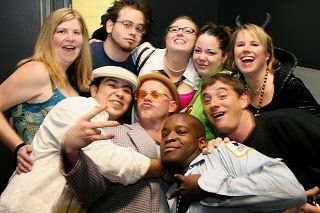 We used to throw a lot of parties together in Indianapolis. And naturally we like to play at our own parties. At first the tag-team sets were a way to make room in the time slots for both of us to play and still have plenty of time for the guest DJs to throw down. But after the first versus set, we knew that we both enjoyed playing off each other, so we just kept up with it. Its much less predictable than a solo set, and that makes it exciting. I can start off in one direction and she can take it an entirely different direction that I would not have thought to. The sets end up taking on a sort of life of their own, and I think the crowds have enjoyed that. Are there more Shiva versus Adam Jay sessions to come in the future? Nothing planned right now actually. What records have caught your ear in '05? A lot of the Thomas Schumacher stuff on Spielzeug, the Tony Rohr remix of Paul Birken's "Put Your Head in the Speaker,” Joris Voorn's "A Dedicated Mind,” and Greg Gow's Echalon EP on Beretta Music. Some of those were promos and some were Vinyl’s, I can't say for sure which was which. 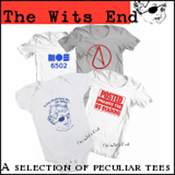 My apologies, I meant to ask; Whas is your preferred medium when you play out? I prefer Vinyl but its always good to play the stuff you wrote in the studio the night before, so CDs come in real handy in that case. There is something human, yet somewhat menacing about one of your mixes in particular (live @ Natural in Cincinatti). Do you try to scare the hell out of people when you mix? Certainly not! The club was pretty dark and dingy, so i wanted to incorporate some industrial stuff in certain parts of the mix. Finally, what is your ideal scene, and how can it be attained today? I don't really believe in an ideal scene. Obviously there are limitations today and I think while it may make things difficult and it makes the music difficult to come by, it also puts more of an urgency into the roles of the promoters, DJ‘s, and producers. The whole idea of a Utopia would really defeat what Techno has been about in the past. Struggle and perseverance. 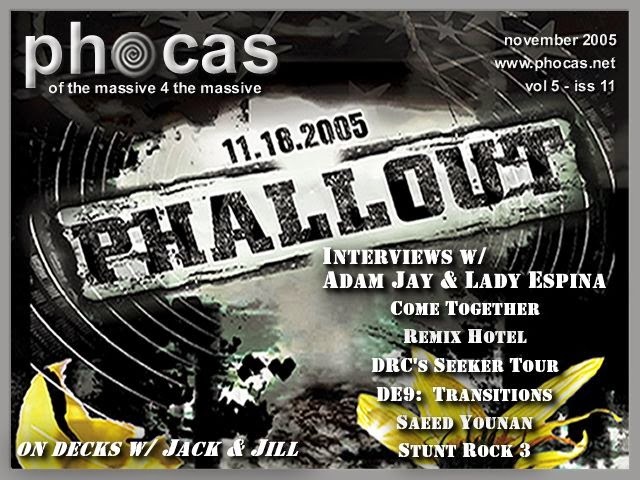 Don't Miss DJ Adam Jay, Live at PHALLOUT on November 18, 2005! Check the calendar for details! To learn more about Adam Jay and download special performance sets directly from his web site, DJAdamJay.com! 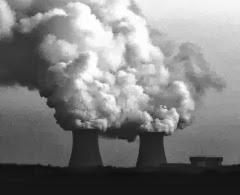 USSR - Officials stated in a report today, that at roughly midnight, in preparation for testing, power levels on a reactor at one of their Nuclear Power Facilities had been decreased to 720 MW(t) and continued to be reduced to 500 MW(t) over 30 minutes. Control was transferred from the local regulating system to the automatic regulating system, but either the operator failed to give the signal to hold power at required levels or the regulating system failed to respond to this signal, leading to an unexpectedly rapid decrease in power to 30 MW(t). Spokesman for the plant indicated that in response, the operator retracted a number of control rods in an attempt to restore the power level. Within 30 minutes, the reactor power had risen to 200 MW(t) and, as part of the preparations for testing, an additional pump was switched into the left hand cooling circuit in order to increase the water flow to the core. Shortly after that, an additional pump was switched into the right hand cooling circuit. This was also part of the testing procedure and operation of additional pumps removed heat from the core more quickly, reducing the water level in the steam separator. At approximately 1:15 am, automatic trip systems to the steam separator were deactivated by the operator to permit continued operation of the reactor and feed water flow was increased in an attempt to address the problems in the cooling system. Some manual control rods were withdrawn to increase power and raise the temperature and pressure in the steam separator. Operating policy required that a minimum effective equivalent of 15 manual control rods be inserted in the reactor at all times. At this point it is thought that that the number of manual rods was reduced to eight. Automatic control rods were in place however, thereby increasing the total number. Feed water flow rate was reduced below normal by the operator to stabilize steam separator water level, decreasing heat removal from the core. Spontaneous generation of steam in the core began. The reactor seemed stable at this point and all stations were on standby for testing. The indications received by the reactor operator, although abnormal, gave the appearance that the reactor was stable and at 1:23 am, testing commenced. Initially, turbine feed valves were closed to start turbine coasting and automatic control rods were withdrawn from the core. Officials stated that this was the normal response to compensate for a decrease in the reactivity following the closing of the turbine feed valves. Usually this decrease is caused by an increase in pressure in the cooling system and a consequent decrease in the quantity of steam in the core. Spokesmen indicated that the expected decrease in steam quantity did not occur due to reduced feed water to the core. Steam generation had increased to a point where, owing to the reactor's positive void coefficient, a further increase of steam generation led to a rapid increase in power. Thirty seconds into the test, the steam in the core began to increase uncontrollably and the emergency button (AZ-5) was pressed by the operator. Control rods started to enter the core. The insertion of the rods from the top concentrated all of the reactivity in the bottom of the core. The reactor power rose to a peak of about 100 times the design value, fuel pellets started to shatter, reacting with the cooling water to produce a pulse of high pressure in the fuel channels, in turn rupturing them. Thirty seconds later, and one minute after the test had been started, two explosions occurred. One was a steam explosion; the other resulted from the expansion of fuel vapor. The explosions lifted the pile cap, allowing the entry of air. The air reacted with the graphite moderator blocks to form carbon monoxide. This flammable gas ignited and a reactor fire resulted. Officials are not commenting futher at this point, but experts from the scientific community tell us that it is likely that some 80 of the 140 tons of fuel, which contained plutonium and other highly radioactive materials (fission products), were ejected from the reactor along with a portion of the graphite moderator, which was also radioactive. These materials were scattered around the site. In addition, Caesium and Iodine vapors were released both by the explosion and during the subsequent fire. In addition, they say that this deadly mixture of fission products and vapors have also been ejected into the upper atmosphere. They believe that prevailing winds will scatter it around the globe over the next several weeks in a sort of band of radioactive storm that will leave only desolation in it's wake. 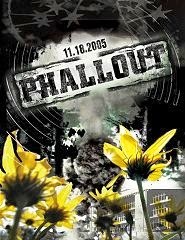 Though minimal damage is expected in our area, this cloud of phallout will definitely drift through on the night of November 18, 2005. Officials are urging everyone to take shelter from the hours of 9 pm until 5 am. Unfortunatley, in anticipation of mass panic, officials have refused to release the location of the shelter until a day or two prior and are advising everyone to begin preparations immediately. Tune to Message Forum Thread T1943 on this site for immediate Shelter information, as soon as it is available. Directions will be provided from your location. In addition, information will also be provided in the calendar section to help facilitate a broader range of information distrubution. Officials have informed us that shelter perparations are well underway and the facility to be used will be clean and comfortable, containing multiple amenities to pass the time. phocas Staff will be on hand to assist you with any questions or concerns you may have, as well as Security and EMTs to assist those needing it. There will be video feeds to keep you informed on what's going on outside of the shelter, a coloring area for the kidZ and appropriate facilities for decontamination. An intricate part of the Iowa electronica scene since 1999, the past couple of years she has become well-rounded, finding a niche within electro, breakbeats, German and Detroit influenced techno, experimental and even underground hiphop. As a performer, her energetic stage presence, mixing ability and choice in tracks has made her an up and coming DJ that knows how to keep a dance floor satisfied. She has played on the roster with several well known artists such as Tommie Sunshine, Terrence Parker, Woody McBride, Boo Williams, Nick Santillian, The Faint and Donald Glaude, amongst others all over the MidWest! We sat and had a talk with her this month too and more information can be found at her production company's web site, MinaCapa.com! 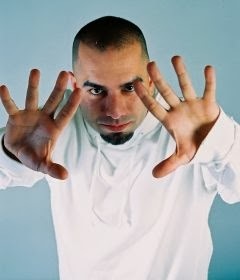 Staying busy with his own production, TShirt business and gigs with BreakBotix, it seems likes it has been forever since we have heard this man play out on his own. Making a very special appearance for us on this, he will serve you a plate of BreakBeats that are sure to leave you twisted upside down in the middle of the floor. bBoys! Let's see what you got! In the meantime, if you want to read up on him a little, he had a few words to say a while back in an interview with Breakbotix! Well known as one of the best of KC's DnB scene, as well as your host every Wednesday night at The Cup & Saucer, cQuence is gonna get the groove rollin with her unique sound. Add a little Alaskan vocals and this should be a very special birthday set, produced live by the birthday girlz themselves! A while back, we interviewed cQuence for our August 2004 Issue. These two members of The Heavy Lounge will be sharing the stage to bring you an interesting collection of broken beats that will put you in just the right kind of mood to get your party on. Recently relocated to KC from Lincoln, NE where he played various events. This runner-up in the phocas DJ Battle House Week will be bringing his hard & funky house out to get your body groovin. Known in Kansas City as the man that loves nothing more than Techno and his video displays, vjOnes will be producing a very special service of Retinal Destruction this night. 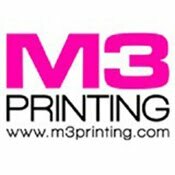 Check his web site to see what he may be up to. Remember phlashback? Remember that crystal clear bone crushing sound? We've got the same system. Actually, a little bigger this time.They've grown a little in the last year and recently did the lights for the Dance Tent at Wakarua! As a result, they will be providng sound and a light show for this event. You know these guys know how to do it right. 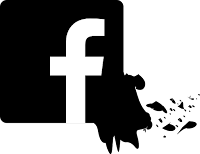 Check 'em out on the web at AudioHouseSound.com! The cover this month is different than any other month prior, in that instead of being a photo, it's a portion of the artwork by Chrissy Laing for the phallout flyer. I liked it so much, I figured what the heck, but the story is one that's been developing for months. As well, there is more interesting art being created for the event itself. Be sure to check back a day or two before the 18th to find out the location of the shelter. This has been an interesting month to say the least. Kicking it off was the Pajama Gala at Kabal Restaurant & Nightclub, followed a week later by visit from one of the masters, Carl Cox. The same night, Frankie Bones & Josh "The Funky 1" were throwin down in Lawrence. We put together an event with Reveal Magazine & u:Move at Kabal Restaurant & Nightclub, called Paparazzi that brought out all kinds of interesting people. While all of that was going on, Senseone was getting his party on in Philladelphia at Whistle before bouncing out here to play at Resistance. Lee Burridge came to town, as well as another visit from Chicago-based Surreal, while Senseone gave us another view of Carl Cox, from Philly. The end of the month went completely off the chain though, in one night we were 5 different places. In Springfield, SvS played the Faces of Halloween party and brought us back a few pix, and Joe ran away to Lawrence for the Nightmare on Mass St. I kicked my Halloween weekend night off at The Bacchus Foundation's Terror at the Train Station 3, while Shaun dropped in on Martini Corner's Halloween on the Hill. After that we both landed at Kabal and spent the rest of the night with DJ P, now holding down residencies in Las Vegas. It's good to see that he's really start to get the recognition he deserves. Meanwhile, Bad Boy Bill was showing off his skill at the newest addition to the club line up, Harrah's Casino. This particular night there was some confusion regarding cameras and we couldn't get any footage of this place. I'm not quite sure what they are calling it yet, but we'll be talking to them real soon to get the low down before you go down. I've heard that it's quite a fabulous room. Ending the month though, was a great little party at the Newsroom. It seemed the perfect way to end Halloween night, in a warm little room with great music. Speaking of warm little rooms with great music, True Tuesdays is goin just as chill as always. We have built up a great little Electronic Music Lounge, stayin True to what we wanna do, so if you get a chance, stop in... otherwise... see Ya at The PHALLOUT Shelter!